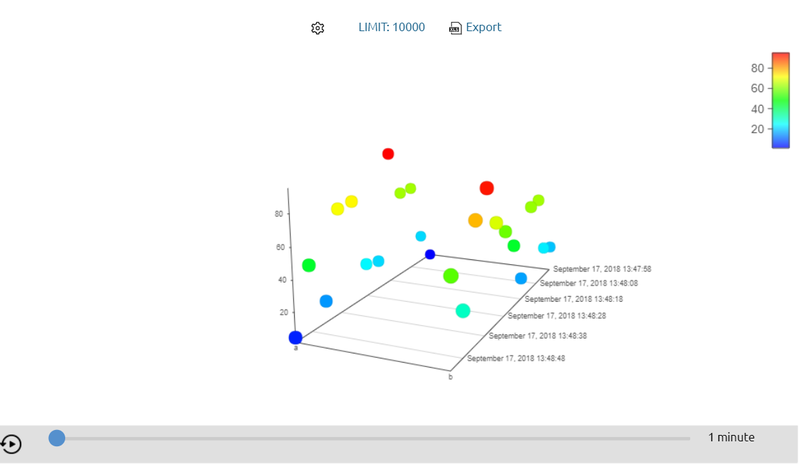 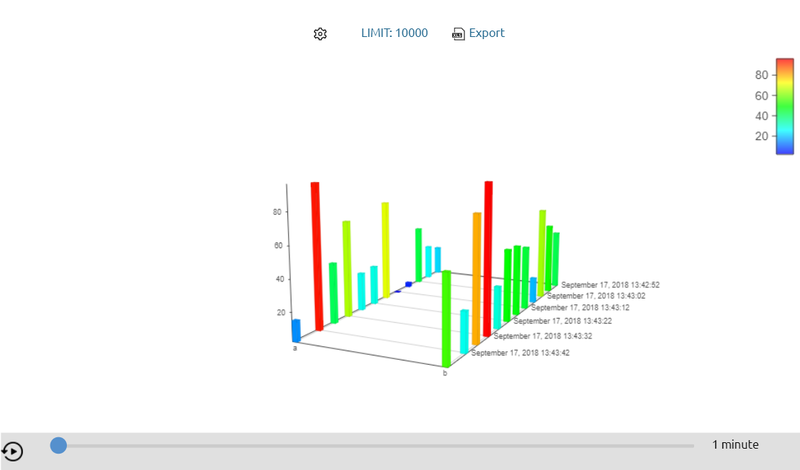 3D chart can be displayed either in active area or in data-logs views. 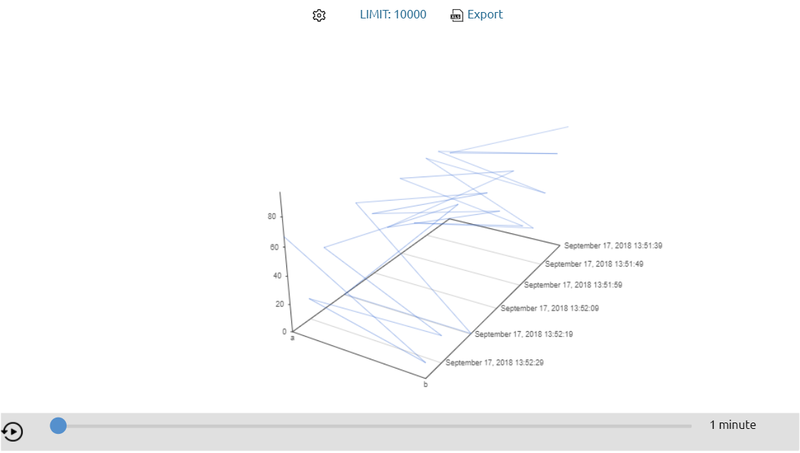 You can zoom in or zoom out using mouse scrolling button or you can just drag graph to turn it and be able to view graph from other side. 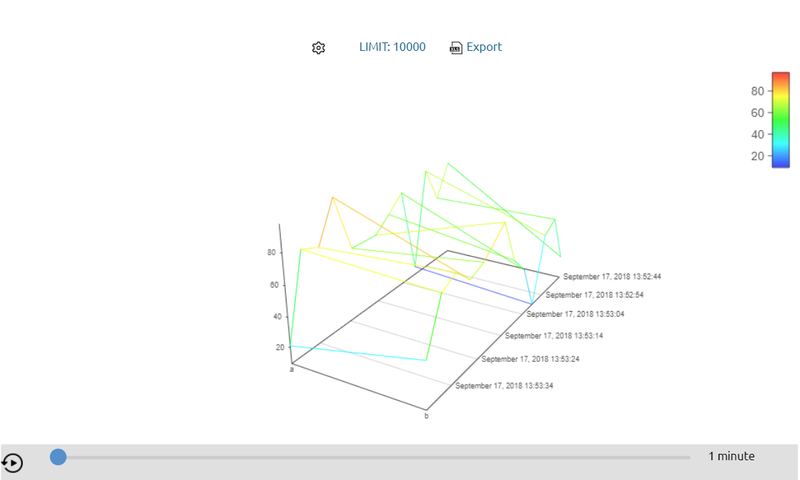 Also if you move cursor anywhere on the edge or point of the graph you will see time and value displayed. 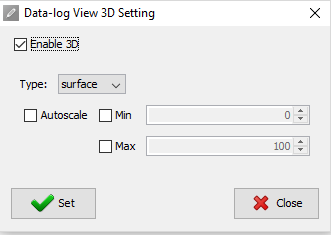 When you are creating graph you can choose graph to be auto-scaled or you can choose maximum and minimum of the graph manually. 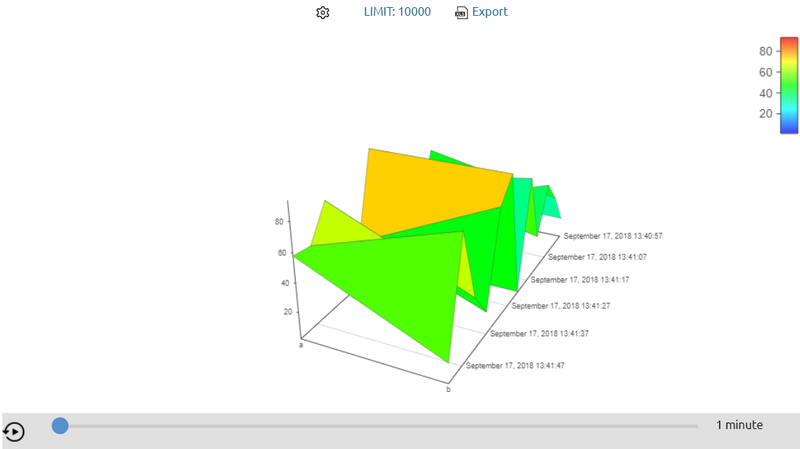 3D chart can be displayed in several forms as you can see on the screenshots.